How do I Create Multiple Doors With Individual Switches? 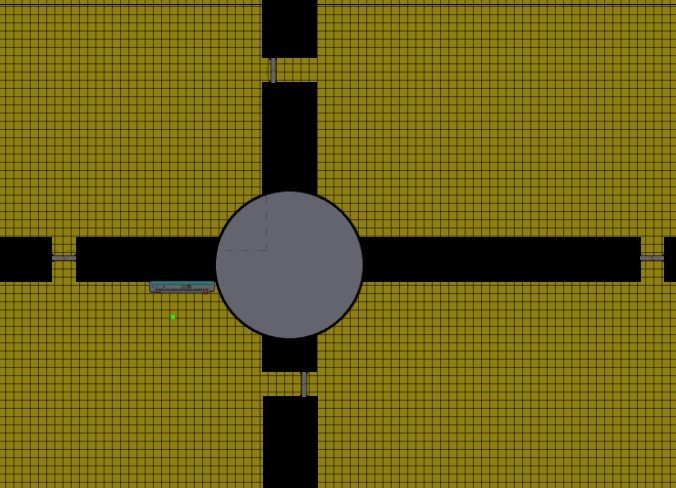 I am creating a Top Down Shooter and I have 4 doors that are opened by individual switches. I need for each switch to open a specific door. I attempted to have the switches compare their own variables to that of the doors, but all of the doors just opened at the same time. I take it that you are using a single door object and single button object for all four from the way you wrote it. If that's the case, there is a simple way of doing it. Every object will have a UID, it helps you identify every single object in the game, even if they are clones from the same object. When you select each individual object, notice that on the right properties layout, there will be a UID section which gives you their number. So all you need is to use this to achieve what you want. Place your actions here to open the door. But why would you use UIDs for that instead of adding an instance variable that works as identifier and makes your code a lot more readable, when you name your doors with some kind of logic. mindfaQ, agreed, using instance variables are the best way to do this, definitely a best practice. But he said he tried and couldn't get it to work, so unless he is willing to share his capx, we can't see what is going wrong, so I gave him another workaround. HerrVonClausson If you would like to make the instance variable method work, you could post the capx and we could have a look to see why it isn't working properly. As mindfaQ mentioned, it is definitely the more readable and professional way to go about it. I guess with 4 doors I would also use the UID to identify the doors and switches. Works like a charm! Thanks guys!